Art | Welcome to russia! Winter Moscow is especially charming… Some are fascinated by its small quiet streets totally covered with snow, others are fond of illumination mirrored in the river ice. 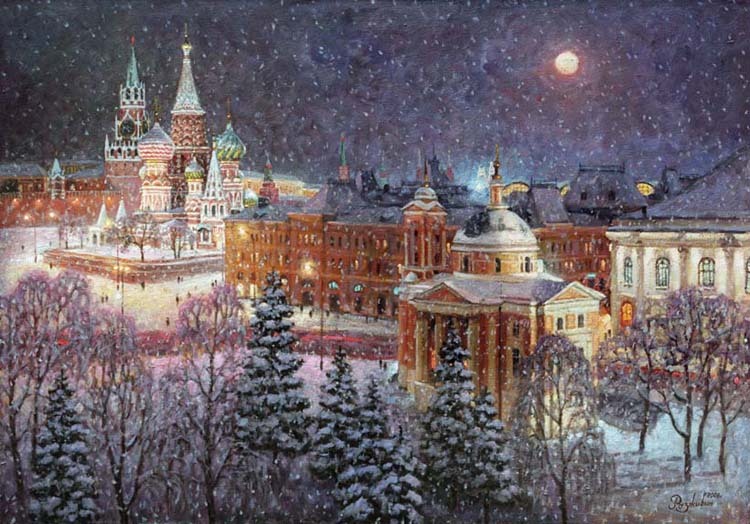 Here is how winter Moscow is seen by some Russian artists.